Take trips to nearby historic National Trust properties and towns of Battle (where the famous Hastings 1066 battle occurred), Bodiam (with its 14thC castle) and Burwash (see Rudyard Kipling's childhood home Batemans). Enjoy the beautiful sandy beach and nature reserve at Camber Sands and pop into Rye (only a short drive away). Follow William the Conqueror's footsteps from Pevensey to Rye on the Hastings 1066 country walk. Visit Hastings Stade (Saxon for 'landing place') beach to get the freshest local fish, see the Fisherman's Museum and shipwreck and coastal heritage centre. See the maze of underground tunnels and caverns at Smugglers' Adventure and visit Hastings castle and 1066 story while on the West Hill. View modernist architectural gems like the De La Warr Pavilion in nearby Bexhill or Marine Court in St-Leonards-on-sea. Taste some excellent British bubbly and wine (stocked by Tower House 1066) at local vineyards like Sedlescombe Organic Vineyard and Carr Taylor (only a short drive away). 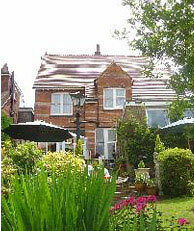 Stroll around St Leonards' antique and bric-a-brac shops or have lunch in one of the great places in Hastings old town. Stay for one of many events in Hastings like the Hasting Half Marathon, Jack in the Green, the Seafood and Wine Festival, Hastings Bonfire Celebrations, the Battle of Hastings Re-enactment and so much more. Tour the wild and rugged ancient heath and woodland of the exhilarating 267 hectares of Hastings Country Park, or visit the more cultivated gardens at Great Dixter House. 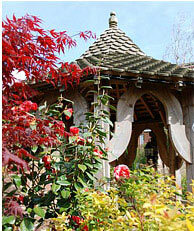 You can look up events in Hastings at www.visit1066country.com and http://www.1066online.com/. 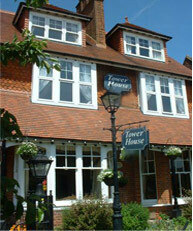 Or, find out more about Tower House 1066 if you are looking for guest accommodation near Hastings. Tower House 1066 is not responsible for the content of any external websites.